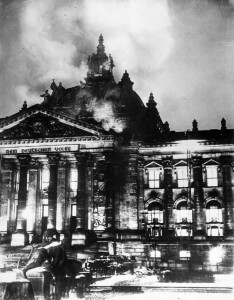 Marc shares some of what happened on this day in history, including the death of singer Frankie Lymon, the Supreme Court ruling that the 19th amendment, which gave women the right to vote, was constitutional, and the 1933 Reichstag fire, when Nazis burned Germany’s parliament building in Berlin, a crucial moment in their rise to power. 1933: Reichstag fire: Germany’s parliament building in Berlin, the Reichstag, is set on fire. property owners’ rights and are therefore illegal. Time’, his second No.1 of the 60’s. It reached No.27 in the UK. reservation area of Wounded Knee by force beginning an occupation that lasted until May. imposed for resisting arrest after a car chase across two States. and became the second biggest selling single in the US. woman member of Harvard’s faculty. first African American soloist to perform at the White House, is born in Philadelphia, PA. (d.
1930: Joanne Woodward, American actress. 1934: Ralph Nader, American lawyer, author, and activist. 1942: Jimmy Burns, American singer-songwriter and guitarist. writer at New Yorker Magazine, and first black woman correspondent on a daily news program. US No.1 single ‘Hanky Panky’ and the 1968 UK No.1 single ‘Mony Mony’. spent 57 weeks on the UK chart. 1964: Anna Julia Cooper, champion for the rights of black women, dies at the age of 105. 2008: William F. Buckley, Jr., American author and journalist, founded the National Review (b. 2013: Richard Street, American singer-songwriter (The Temptations and The Monitors) (b.